Previous games Sword Art Online: Infinity Moment and Sword Art Online: Hollow Fragment required you to play as series protagonist Kirito—though you could customize his avatar in the latter. All the other popular characters were relegated to AI-controlled party members. 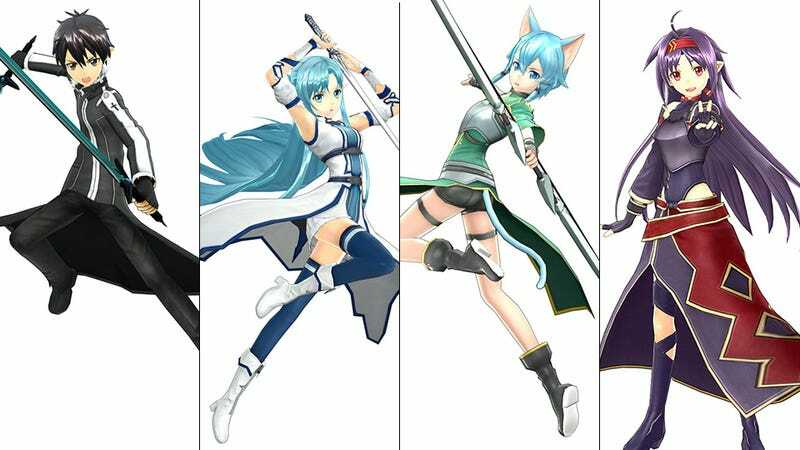 However, in the new game, Sword Art Online: Lost Song, you can play as many of the franchise’s most popular characters (and some new ones, too). Check out the list of playable characters below. Sword Art Online: Lost Song was released in Japan for PlayStation 3 and PlayStation Vita on April 28, 2015, and on May 12, 2015, in Asia (with English subtitles). It is scheduled to be released on PlayStation 4 and PlayStation Vita in PAL territories in fall 2015.